Melt Spread in 3-quart saucepan over low heat. 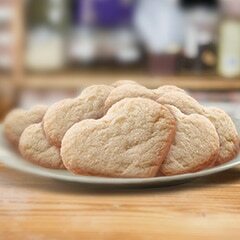 Stir in flour and cook, stirring constantly, 2 minutes. Gradually add milk and cook over medium heat, stirring constantly, until mixture comes to a boil. Reduce heat and simmer until slightly thickened, about 2 minutes. Remove from heat, then stir in 3/4 cup each Monterey Jack and cheddar cheese, salt and pepper until cheese is melted. 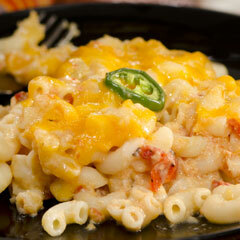 Combine macaroni, chiles and tomatoes in 3-quart baking dish; stir in cheese sauce. Sprinkle with remaining cheeses, then top with jalapeno pepper. Bake until heated through and cheese is melted, about 20 minutes.